The Trindad and Tobago Sub-section was to the nearby Colombia Section. On November 12th, 2005, the Board of Directors of the IEEE, based on the recommendation of the Region 9 Director, Francisco Martinez, approved the elevation of the IEEE T&T Subsection to Full Section status. Today, the IEEE T&T Section comprises of over 200 members, five chapters, the GOLD (Graduates of the Last Decade) Affinity Group and the Student Branch of the T&T Section. 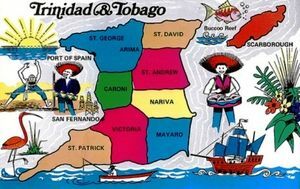 The Trinidad and Tobago Section maintains very close ties with the Colombia Section, mainly due to expat travel and business links between the two Countries. The Trindada and Tobago Section chair attended the 2008 IEEE Sections Congress in Quebec City. This page was last edited on 18 September 2017, at 15:29.